Over the course of the past 40 years, Soulstar have garnered a reputation for classic apparel with a gritty urban soul. Through allusions to vintage sportswear and traditional graphic design, our collection demonstrates a rare vitality and a historic richness. 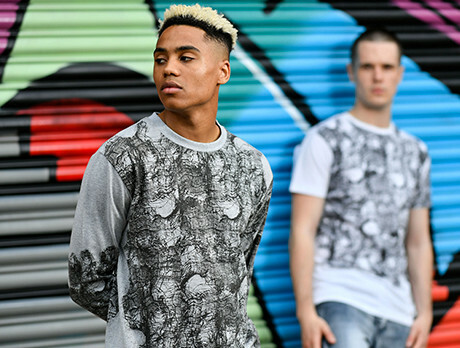 Wear your soul in these printed jumpers, earth-hued jackets, and city-themed T-shirts.